Natural menthol taste, smooth and subtle to leave space for the minty and floral essences, the exquisite herbal mix, a touch of eucalyptus and a zest of lemon. A zen liquid that will bring back the first snow anywhere, anytime. Pristine E-liquid is a hidden gem about to be found by the world. They are a killer company out of Montreal Canada that make outstanding Flavour profiles. We feel for all the vape companies in Quebec right now, they are dealing with a lot of regulation woes right now, one of which prohibits online sales. Hopefully companies like this one will find new audiences by getting their products to other markets and finding a way around these crazy regulations. 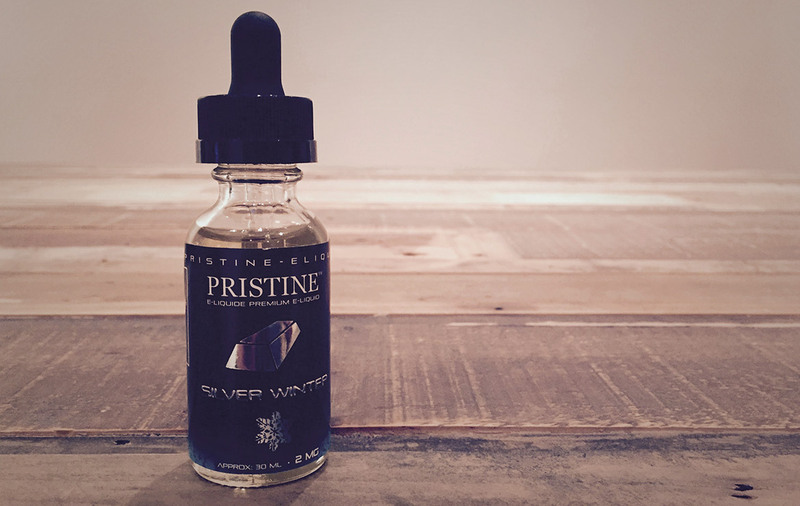 Silver Winter is not your ordinary Menthol profile by any means. We aren’t huge menthol fans but this juice is so unique that it will appeal to a wide audience. The Flavour mix somehow hits differently than most menthols. The front starts Sweet and Smooth and then the Mint hits but with strong notes of Eucalyptus and Lemon. The back is a Cool Creamy Mint (almost a Spearmint). It’s almost like a cool Lemon Ice Tea or what we think is a perfect recreation of Winter Green Life Savers Candy. One note and why it doesn’t garner a higher overall score, we have noticed that it’s a bit of a gunker (drip this juice), it does however still taste quite good even with gunked coils (burnt caramelized sugar build up). That said, it’s complex and rather wonderful with just the right amount of sweetness. This is a must try for sure. All Day Vapability: Yep! Smooth & Refreshing!